Are you spending the Christmas holidays away from home this year? Maybe you work remotely, are visiting family or just want to celebrate the festive season somewhere else. Perhaps a Christmas in Southampton? Southampton is a perfect destination to spend the most wonderful time of the year. For a unique experience, serviced accommodation like these apartments in Southampton are a great alternative to hotels and B&B’s. Perfect for singletons, couples, and families, short stay lets are spacious, cosey, and comfortable. They are ideally situated for exploring the Solent city in Hampshire this winter. So deck the halls of your short stay apartment and experience a Christmas in Southampton. Here are just five festive things to do in Southampton this Christmas, which will make a holiday rental home the perfect holiday getaway. 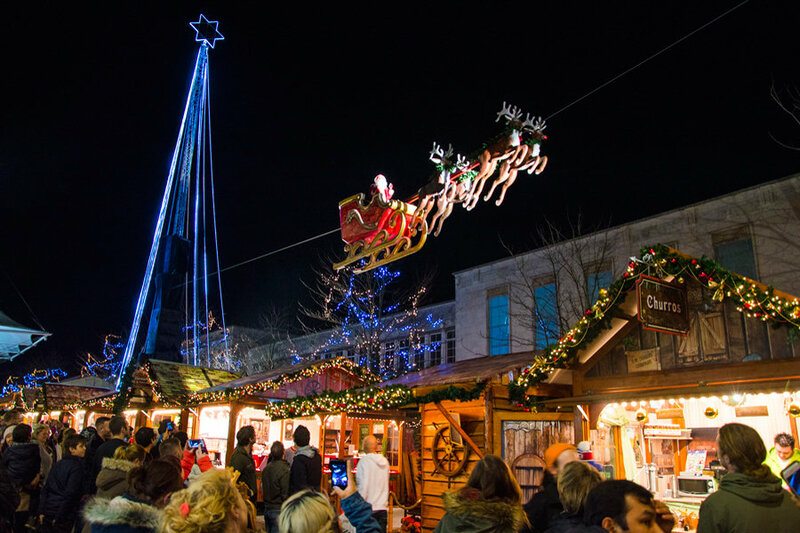 Jingle all the way down to the Southampton Christmas Festival this year. This winter warmer of a fete is bound to get you in the merry mood. Feast on bratwurst, gingerbread and waffles washed down with beer or mulled wine at the traditional German market. Why not treat your nearest and dearest to an authentic hand-made gift sold at the independent market stalls? Don’t miss the incredible Flying Santa who will soar across the city’s sky everyday. The feat will be carried out by a world record high wire artist who will fly Santa’s sleigh 25 meters above the market twice a day. Entry to the festival is FREE so even the Scrooges among you will be rockin’ around the tree. The Southampton Christmas Festival takes place on Above Bar pedestrian precinct on Saturday 12 November – Friday 23 December 2016. Everyone knows it’s not officially Christmas until the iconic Coca-Cola Christmas TV advert is released. And a visit to the Coca-Cola Christmas Truck is now arguably a modern Crimbo tradition. 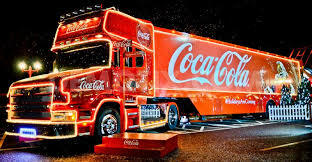 This year the festive truck will be making a yuletide visit to Southampton as part of its whistle-stop UK tour. The truck will be outside the O2 Guildhall on November 30 from 1.00pm to 9.00pm. So get together with your family and friends, grab a selfie with the truck and enjoy a free can of fizz. Let’s be honest. Shopping during the Christmas period can be a stressful affair. But it doesn’t have to be. These short-term let’s are centrally located allowing you to take advantage of the numerous shopping outlets in Southampton. Some say it’s the shopping hub of the Solent area, so you know you’re Xmas gift game will be strong. From West Quay to Ocean Village to Marlands Shopping Centre, you’ll find the perfect Christmas gifts for all the loved ones in your life. Why not stock up on some cute decor to fulfil Christmas home decorating ideas? And for all you frantic last minute (tut tut) present buyers, there are often extended opening hours running up to Christmas Eve during the holiday season. Panic over. Christmas wouldn’t be Christmas without a trip to the theatre to watch the panto. And Robin Hood at the Mayflower Theatre in Southampton looks to be the biggest family pantomime on the South Coast. Starring Eastenders’ legends Shane Richie and Jessie Wallace, they’ve swapped the Queen Vic for the Sheriff’s Forest to entertain adults and children alike. 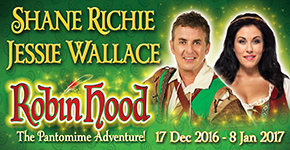 Robin Hood is running between 17 December 2016 – 8 January 2017. Experience Christmas traditions of the past at An Edwardian Workers Christmas at the Brickworks. Learn how people in the early 20th century celebrated the yuletide season and get stuck in with the Edwardian-themed activities. Take a ride on an authentic steam train, visit the Christmas market, soak up the live music and say hello to Father Christmas. The event takes place on Sunday, 27 November. Are you spending Christmas away from home this year? Perhaps you are spending Christmas in Southampton. Let us know how you’re celebrating the holidays. Pingback:5 Warning Signs Christmas is Coming - It Wont Be Long Now!